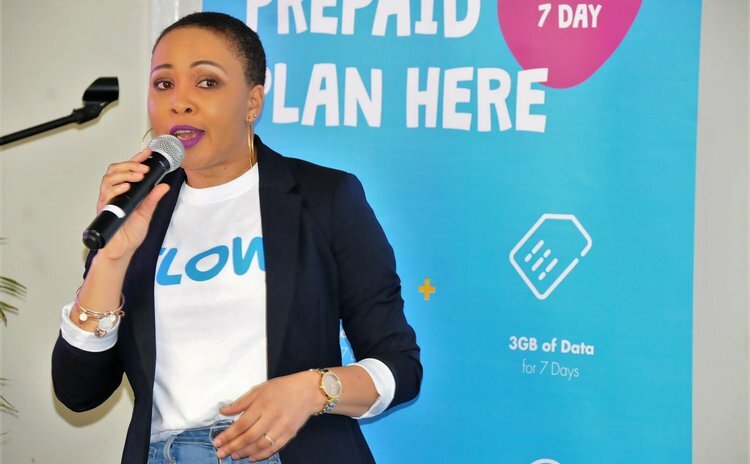 ROSEAU - DOMINICA April 5th, 2019 – Flow customers can now share life's special moments faster and easier with access to increased data plans. The new plans give customers up to 10GBS of data which is a massive upgrade to the existing pre-paid data packages. Flow launched the new plans on April 5th in BVI, Grenada, Dominica, St. Vincent and St. Lucia and they will eventually be rolled out in all Caribbean markets. "Life is about moments." said Flow acting General Manager, Lorraine Mitchell. "The new plans are designed to enable the millions of happy connections our customers make each day across our network. We have made it simpler for customers to connect and share without worrying about running out of data. We are no longer talking about megabytes, but rather Gigabytes of data! With so many options to stream movies, download music and share photos across our networks we have given customers much more data with our new plans." Mitchell who is also Flow's Commercial Manager said "the new pre-paid plans range from 1 to10GBS of data and many include additional benefits like FREE local minutes to call any network and FREE access to messaging on the most popular social media platforms like Snapchat, Whatsapp, Instagram, Facebook and Twitter – (SWIFT). The plans are also available in convenient sizes from 1 to 30 days to suit customer's needs. Mitchell added, "Customers will also see a refreshed look and feel in stores and around the island. We enhanced the customers' experience at our various touchpoints including our retail stores and kiosks, contact center help desk and our new and improved MyFlow self-care app." Addressing employees in a special launch event for the new plans, Mitchell said "It's a great time for our customers and our employees. We are determined to bring a level of passion to our customer service that will require every single employee to be focused on delivering the best experience for our customers. We must ensure that each of life's most important moments, no matter how small or big, is easily captured, experienced, and shared and we enable those moments. Every one of us must become 'moment-makers' for our customers." For more information on Flow's new plans visit the company website at www.discoverflow.co.